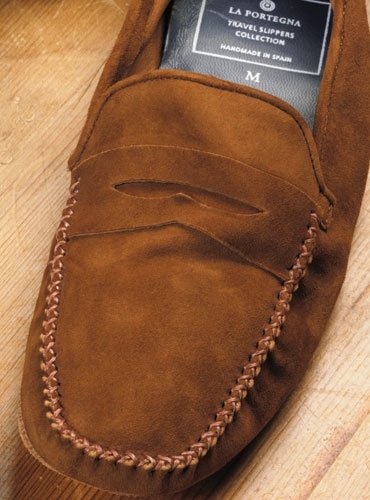 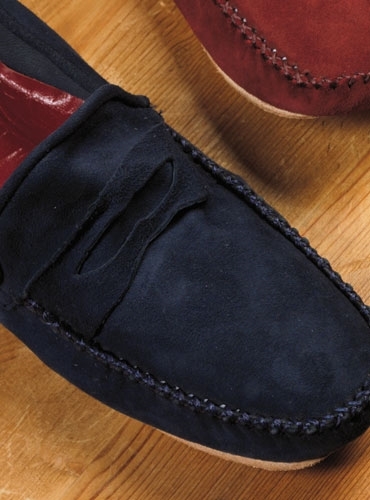 Our snuggly comfortable suede travel slippers roll up for easy transport. 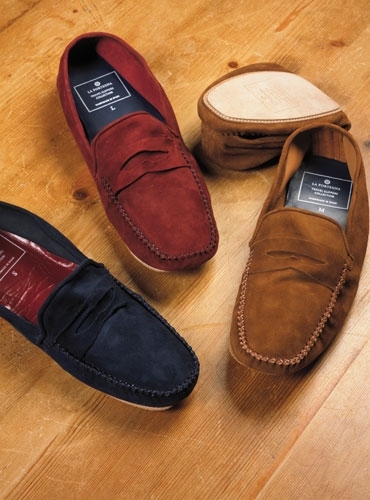 Handmade in Spain in three rich hues, with finished suede bottoms, shown clockwise from left: A-navy; C-wine; B-tan. 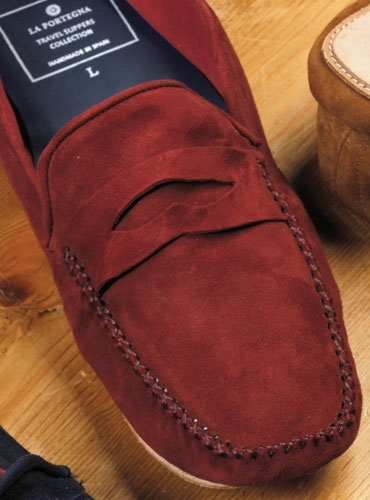 Available in a range of sizes XS-XL, which make them a perfect fit for both ladies and gentleman. 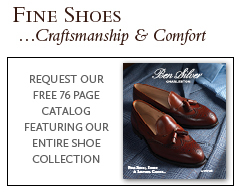 Please see sizing tab for additional information.